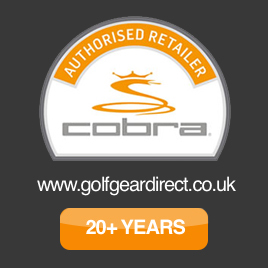 Buy with Cobra King F8 Driver and Save £30.00 Off a matching Fairway wood or hybrid! The KING F8 Driver is COBRA's first CNC milled driver face paired with 360 Aero Technology, bringing you COBRA’s smartest, fastest, most precise driver ever. Oversized shape for maximum forgiveness. Featuring COBRA's thinnest and hottest face, the KING F8 driver delivers the perfect blend of speed and forgiveness with precision face milling, aero and adjustable weight technology. 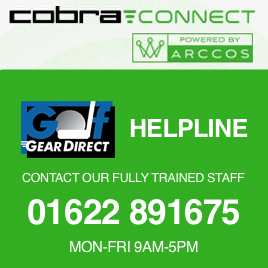 It is ideally suited for 5 to 25 handicap golfers with moderate to higher swing speeds. Its oversized shape makes it ideal for those seeking a more forgiving profile and improved distance on mis-hits. A multi-directional CNC pattern delivers a thinner face, while the circular milling pattern in the centre provides an aesthetically pleasing visual of the Sweet Zone.